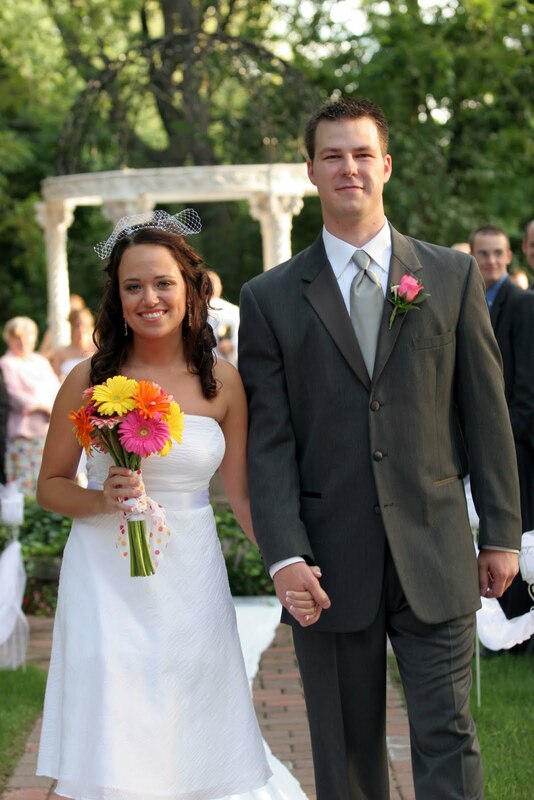 Since this Friday marks Karl and my 5 (yep FIVE) year wedding anniversary, I'm going to post 5 (yep 5) wedding pics this week... One for MTWThF. And, why yes we did get married outside in August, thank you for asking. This one's from our photographer, Alisha. FIVE YEARS?! Good gawd! That's awesome, but I just felt really old and semi cat lady by reading that! haha! ;) Congratulations, hottie! You guys were fabulous then and are even more fabulous now. :) Love you! Cute. Cute...and cute. My, my how time does fly. August? Outside? Really? Congrats, lovebirds! Here's to crazy August weddings! And to you two! Ahhh 5 years!!! I loved everything about your wedding. I think I might get my dress and my orange shoes out on Friday. Perhaps I shall wear them to work!